The Vivaldi Strings program serves as a perfect adjunct to private lessons in string instruments, exposing string students to the chamber music (small group) setting to develop self-sufficiency as well as teamwork through peer interaction. Focusing on various aspects of musicianship, students are challenged to utilize techniques gained as a solo performer, and apply them in collective performance, requiring strong listening skills, sight reading ability, and confident musicality. 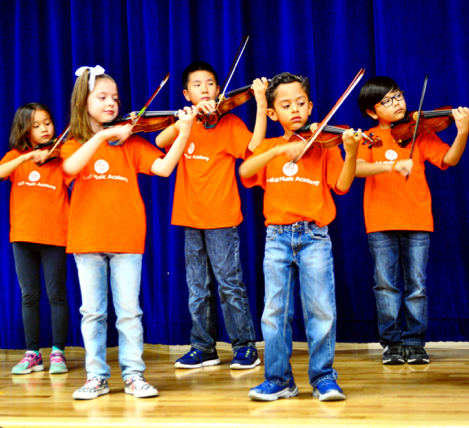 Designed to reinforce students’ learning in private lessons through collective musical tutelage, each student is motivated to practice as a valuable ensemble member.